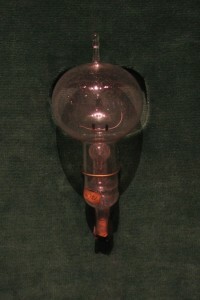 The invention known as incandescent light bulb came into use more than 120 years ago and although it was a groundbreaking technology at that time and it has experienced mass-consumption ever since, nowadays it is being consumed less and less as the technology of lighting has evolved to more efficient solutions such as LED and fluorescent lamps. Some countries have already fully prohibited production and distribution of incandescent bulbs while some countries are gradually getting there. Nevertheless without incandescent light bulbs many of the greatest modern achievements would not be possible and it indeed significantly changed our perceptions of light, as well as brought whole new aesthetics and functionality to our everyday lives. Due to the low price of the product (however it does not relate to energy efficiency) many consumers still choose incandescent lamps and they will not be fully swiped out of the market for the next few years to come. Although Thomas Edison surely has well-deserved the title of “the father of incandescent light bulb”, one should not forget that it took the effort and research of many other brilliant scientists before Edison and each one of them contributed some element that later formed the whole idea of incandescent bulb. So it is merely wrong to say that it was Thomas Edison’s idea alone. The first steps were made already at the beginning of the 19th century when an English chemist named Humphry Davy invented the first electric light. His invention included an arc lamp that connected battery and charcoal strip each of them being located at both sides of the lamp. Over the next half of the century, many scientists in Europe, the USA and Russia did various experiments combining platinum or iridium wires with carbon rods. Some attempts were quite successful but none of them were really complete to work for a longer time. 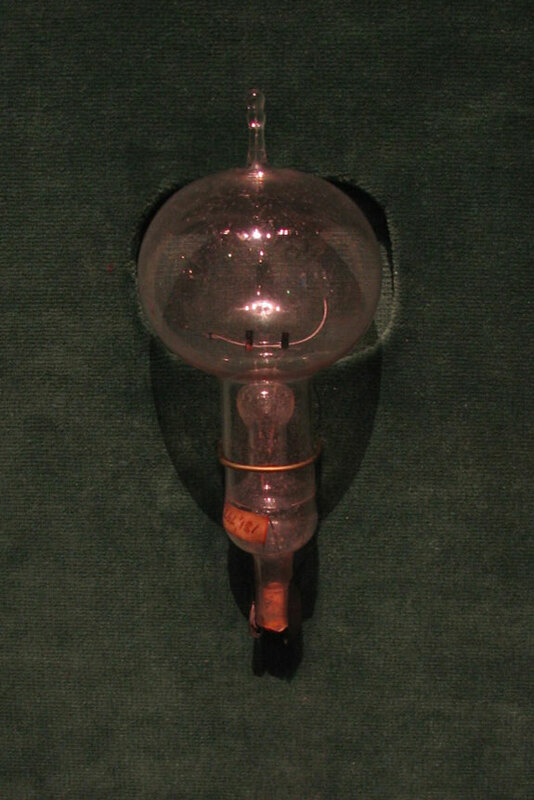 In 1874 Canadian inventors Henry Woodward and Matthew Evans patented their version of incandescent light bulb. It was made from carbon rods placed in a glass cylinder that was filled with nitrogen. After unfruitful attempts to commercialize the bulb, in 1879, the Canadians decided to sell the rights to the patent to Thomas Edison. Gradually Edison and his team worked on the improvements until a bulb, which could last long enough, was achieved. They discovered that a lamp that uses carbonized bamboo filament could last up to 1200 hours or even more whereas the Woodward’s and Ewans’ lamp lasted for only 40 hours. From then on, the technological revolution of lighting was inevitable. The product became commercialized and incandescent lamps were introduced in streetlight, households, factories etc. 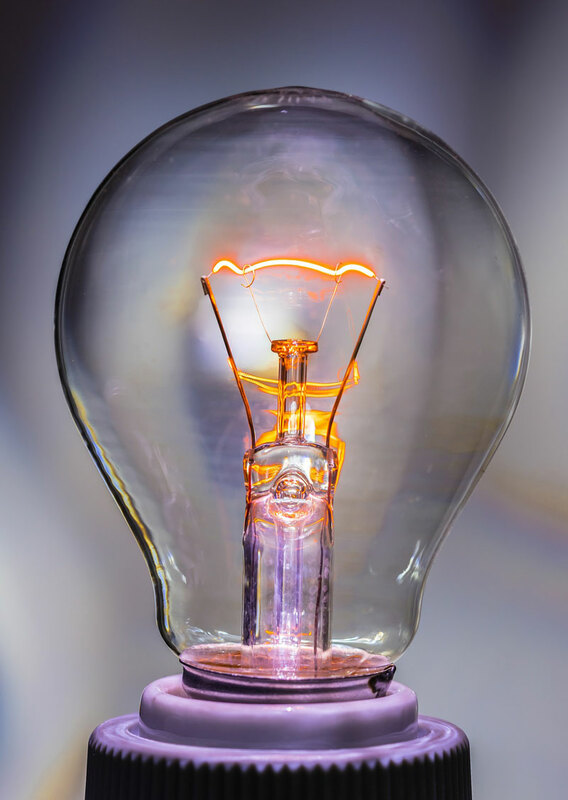 The principle and technology of incandescent bulb has not changed much since Edison’s prototype was sent to manufacturers and sold in mass-quantities: there is a wire filament placed inside a glass bulb; once electricity passes through the tungsten filament, it glows and gives off light. But as you know, incandescent bulbs heat up quite fast. In fact, the majority of energy (90%) incandescent bulb produces goes to producing heat (the tungsten heats up to a temperature of more than 2000° Celsius), and only less than 10% of the energy goes to producing the light we need. The lifespan of the bulb is also not too long as regular incandescent bulbs usually last only up to 1000 hours. Hence nowadays it has become the least efficient of bulbs and it is slowly being pushed out of the market and substituted with better light technologies (LED and fluorescent lamps). As mentioned, the usage of incandescent bulbs is slowly being reduced in practically all applications, yet there are still a lot of people out there who simply like to stick to the good old lamp they have known all their lives. No external regulating equipment is needed for incandescent bulbs and they work on both alternating and direct current. However due to a lot more efficient bulbs being produced, one by one many countries are slowly stopping the production of incandescent bulbs. For instance, since January 1, 2014, the tungsten-filament 40- and 60-watt incandescent light bulbs can no longer be manufactured in the U.S., as they simply don’t meet federal energy-efficiency standards. However, it will take some time for the old supplies of the bulbs to be fully sold out and hence people are free to purchase and use incandescent bulbs while they are still available. It’s very common. Although there are many alternatives to old incandescent bulbs, there is no doubt that a lot of people have simply got used to this very simple and cheap bulb. In areas where it might not be that easy to purchase newest generation bulbs, incandescent bulbs are still doing a great job in providing lighting both for indoor and outdoor applications. It works instantly. Compared to some types of bulbs (e.g. sodium lamps), incandescent bulb reaches its maximum brightness instantly and without any significant delays. Low manufacturing costs. If you look at a short-term perspective, this seems like a good advantage. Compared to other types of bulbs, incandescent bulbs are cheap to produce and to buy. However, keep in mind that compared to LED or fluorescent lamps they will cost you more in a long-term span by using up a lot of your electricity. Plus the technology of LED lights is constantly being improved reducing the costs and with it – the market price of the bulbs, creating a very competitive alternative to incandescent lamps. Low Efficiency. The process of lighting the tungsten filament produces more heat than light. That means that the efficiency of the bulb is very low as 90% of the energy is simply wasted to generate heat which no one actually needs. In comparison, fluorescent and LED bulbs require less wattage to produce the same and even greater amount of light. Consumes a lot of energy. It is a well-known fact that incandescent bulbs consume a lot of energy compared to alternative bulbs. If you are trying to be environment-conscious, incandescent bulb surely is a thing to quit as by using incandescent bulbs all over your home, you are making a notable carbon footprint equal to the amount of energy that has been wasted. Short lifetime. As mentioned before, in a long-term perspective, incandescent bulb is the worst option to choose. The bulb has a very short lifespan which means you have to buy several bulbs throughout the year. The lifetime of an incandescent light bulb usually lasts from 700 to 1000 hours whereas LED bulbs, for instance, can reach a lifespan of over 25000 hours. Lack of color spectrum for plants. Incandescent bulbs produce light slightly more on the red side of the light spectrum but since plants need light from both the red and the blue side of the spectrum, incandescent bulbs simply don’t do their job once it comes to providing light to plants. Next story How to Clean Solar Panels? Previous story How to Correctly Dispose Fluorescent Light Bulbs and Tubes?